Choosing the right tub for your bathroom is going to mean that you have some choices to make. Some factors you can control, others you cannot. Perhaps you already have the constraints of an existing bathroom. However, given that you have a wide spectrum of choices, we have come up with a quick overview of what you may want to consider, aside from all the different tub colors, styles, sizes, functionality, and materials. The fact is, if you want the best bathtub to suit your situation, you are going to have to do some research. It depends on what is available, how you plan to use the tub, and your current situation. Doing the homework should end up leaving you with the right choice for your situation. What are the bathtub basics that you have to know? 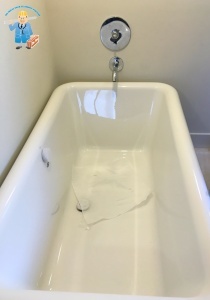 Physical constraints – Perhaps you have constrains as to where the bathtub is going to fit. Perhaps you are doing a remodel and you can only select a certain size bathtub. Having a tub that does not fit is simply not going to be an option. There are no constraints – If you have no real constraints, it means that you are able to have whatever tub you might want. It could be a remodel where you gut or move existing walls, where you are doing a bathroom add-on, or have a new home. The standard tub – This is a basic tub and can often function as a tub-shower combo. You can basically get this type of tub anywhere and you should rely on an alcove installation most of the time. Whirlpool and air tubs – This is like being able to have a therapeutic massage whenever you want. The whirlpool forces the water through the jets, and it releases a steady, soothing stream of air through the water. These are typically more expensive than a standard tub. Soaking tub – These allow you to be completely submerged, because of the extra-deep dimensions. You can have a freestanding soaking tub or a built-in soaking tub. There are many different types of tubs available. Once you have the one you want, it is important that you have a qualified professional install it for you, because the last thing that you want is leakage in your floors. Rely on the professionals of Dr. Pipe Drain and Plumbing Services to help you with your installation.